"Would happily stay here again." "Breakfast was good and made even better by the rooftop terra..."
Dimora Santo Stefano is located in the historical center of Polignano a Mare, 1640 feet from the sea, and 0.6 mi from the train station. It offers simple rooms with balcony, private bathroom, and free WiFi. 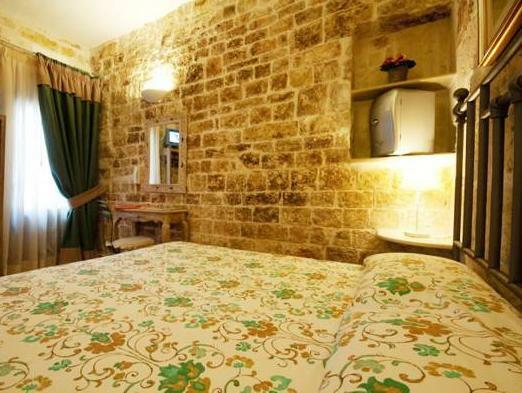 The Santo Stefano is set in a building of traditional Apulian tuff stone. Breakfast includes local homemade cakes, and during summer it is served on the large terrace with views of the Adriatic Sea. Each room features heating, a cooling fan, a digital TV, and a fridge. The bathroom is complete with shower and hairdryer. The style is rustic, with stone walls and tiled floors. "Bathroom was spacious and clean." Please note the building has no elevator. A surcharge applies for arrivals after 20:00. All requests for late arrival are subject to confirmation by the property. Please inform Dimora Santo Stefano of your expected arrival time in advance. You can use the Special Requests box when booking, or contact the property directly using the contact details in your confirmation.